I love rice crispy treats, but could do without the marshmallows. Unless they're organic, almost all marshmallows are made with gelatin and anything made with gelatin tends to gross me out (just look up what gelatin is made out of and you may think twice about eating it again). 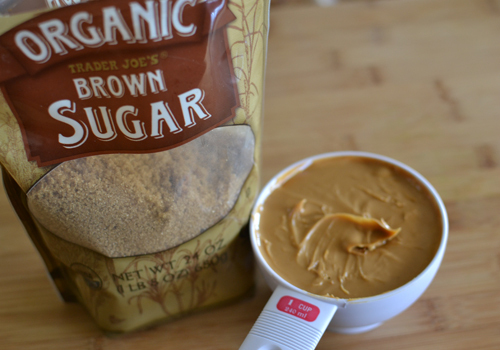 I made this no-bake, peanut butter version thanks to a Trader Joe's recipe. They came out tasting insanely good and I didn't miss the marshmallows for a second! They're super easy to prepare and anything that's made with peanut butter is always an instant hit our home. Yum! 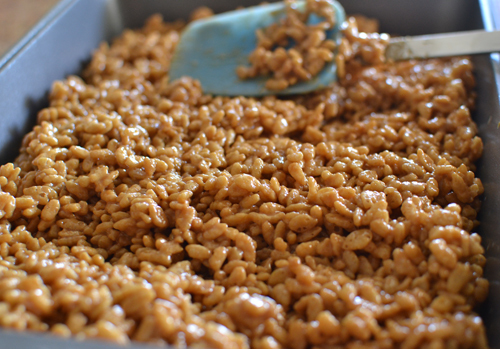 I've never had no-bake rice krispy treats -- or rice krispy treats without the marshmallows! This recipe looks insanely good -- peanut butter is a hit in our home too! :) Thanks for the sharing, Audrey! YUM! I am going to have to try this asap! 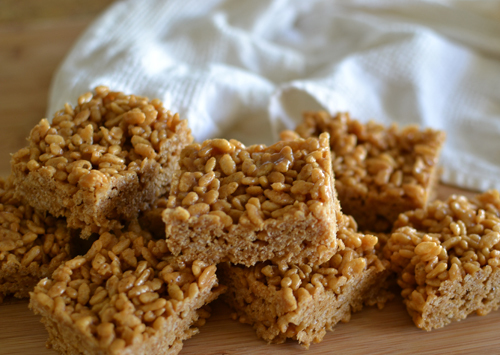 I'm not a huge rice crispy treat fan, but with the addition of peanut butter, I KNOW I'd love these! That sounds delicious and is a great use for peanut butter. 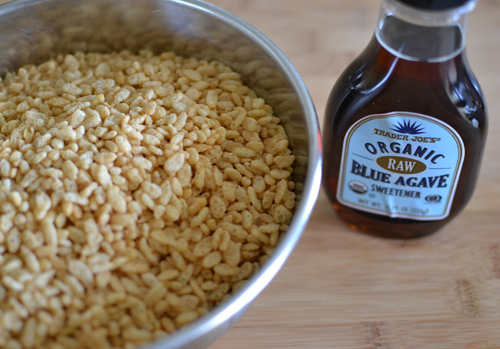 I may have to find some blue agave syrup and try it! Is this gf and vegan? Must make asap!!! A way healthier version than my nutella rice crispy recipe! Thanks so much for enlightening me about gelatin. Yikes! wow this sounds mouth-watering to me right now!!! Peanut butter is my all-time favorite food. It's my weakness. Yum! Keep the amazing recipes coming! Oh wow! This really takes me back (I haven't had rice crispy treats since I was a kid)! And since I am a total baking disaster, I love the fact that there is no baking involved! mMm i've never had a peanut butter rice krispy. looks so good!